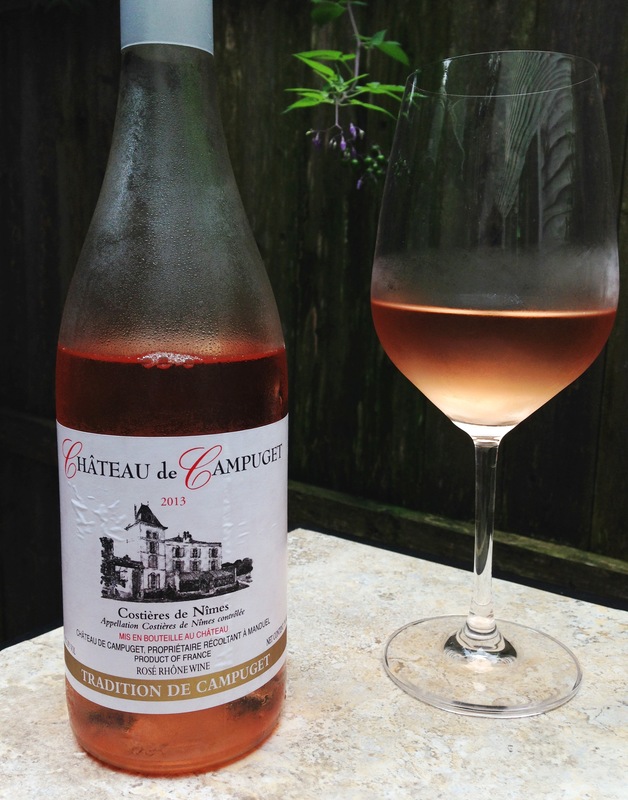 A fantastic value, this is a sunny, refreshing, food friendly Rosé from a family estate in the Costières de Nîmes appellation in the Rhone Valley. Estate: Château de Campuget is a family estate located in the ancient wine producing region of Costières de Nîmes in the Rhone, southern France. Purchased by the Dalle family 1942, the estate already had a winemaking history dating back to 1640. Philosophy: “To produce wines that are true to the terroir of the Costières de Nîmes” and to “respect the heritage of our soil and our identity”. Winemaking: A traditional Rhone blend of Syrah and Grenache that was fermented in stainless steel and immediately bottled after racking and filtration. Intended to be a young, fresh wine and enjoyed within the following year. Tasting Notes: Coral pink in color with aromas of strawberry and chalky minerals. Bursting with summery strawberry, raspberry and fresh melon fruits, balanced by astringent tannins to compliment grapefruit and river stone minerals in the lengthy, dry finish. Unusual to see noticeable tannin in a rosé, sounds like a rosé that red drinkers would love! Yes, very pleasantly astringent. A fuller body then most Rosé, but still light on its feet.